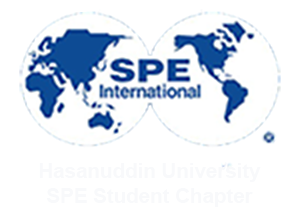 SPE Hasanuddin University Student Chapter has a guest arrival from Balikpapan Section on March 24th 2018. Balikpapan Section was represented by ms.Anggi, mr.Arasy and ms.Haura. 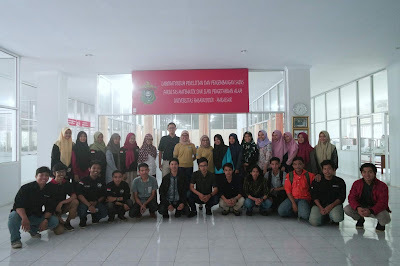 SPE Hasanuddin University and Balikpapan Section’s gathering held in science building, 2nd floor. That gathering discussed concrete steps of them to interweaved good communication. That gathering also discussed about SPE globaly. Begun away from reasons the form of SPE, SPE’s history, SPE’s missions, SPE’s benefits, SPE’s activity and SPE’s system professionality. “SPE is a professional and membership organization globaly of petroleum and gas” ms.Anggi said. In her present, ms.Anggi explained to board member and staff of SPE Hasanuddin University SC that SPE could be a sharing knowledge home for all of subject between professional and undergraduate in each university. From it’s history, SPE has formed three sections in Indonesia. They are Sumatera Section, Java Section and Balikpapan Section. Balikpapan Section were formed at 2000. Balikpapan Section controlled two student chapters, they are SPE STT Migas SC in Balikpapan and SPE Unhas SC in Makassar. In the next session, mr.Arasy explained about the importance of SPE. “You can get many benefits from this organization especially as undergraduate” mr.Arasy said. “Free registration, opportunity to meet professional from industry, equipment study and mentoring” said mr.Arasy. The same things were presented by some board members of SPE Hasanuddin University. “I have improve my public speaking skill and I also get scholarship from SPE section. That’s the benefits that i get as a member in SPE Unhas SC”. Riana’s recognition, board member SPE Hasanuddin University SC. The same thing also were presented by another board member, Arman. “I can learn public speaking and get scholarship and also I get new networking especially professional industry of petroleum and gas since I joined in SPE Unhas SC” said Arman. In another chance, mr.Arasy explained about the main SPE’s activity. “So many activities are made by SPE, like petrobowl, student paper contest and e-mentoring”. Those activities helped undergraduate to practice their skill and increase knowledge about petroleum and gas. Ms.Haura tell to the participants about how to communicate between student chapter and section. It was begin by preparing proposal, writing email and writing report. Ms.Haura also explained about the importance of annual report. Gathering officially ended by ms.Anggi as the leader of Balikpapan Section. Gathering were end at 00.15 pm and it was closed with took out a picture with Balikpapan Section and board member and staff of SPE Hasanuddin University SC.